Friends… I can’t even tell you how much this blog has been a revealing experiment to me this year. 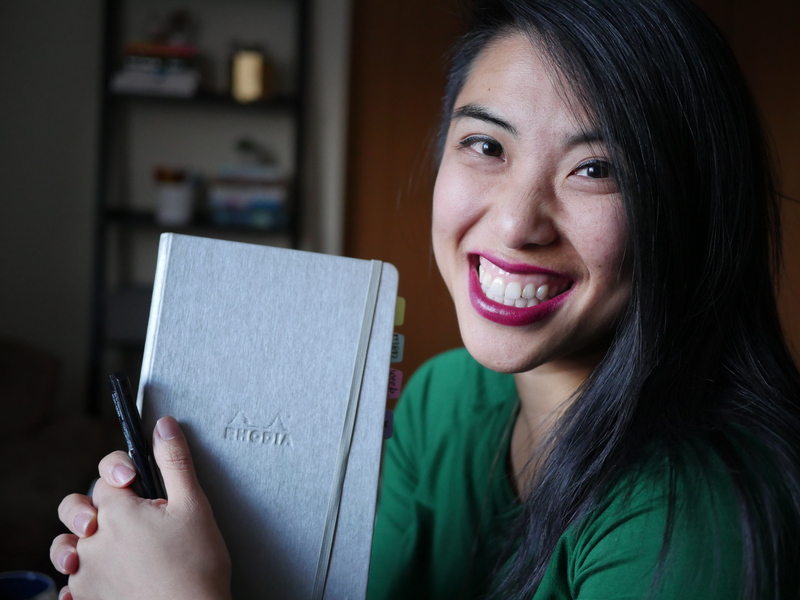 In January I decided I’d take it more seriously, to put effort into developing it with the bullet journal and calligraphy – and it created opportunities for me I never imagined. Not only in a side-hustle fashion, but as a reminder that life is always unfolding and that you will become things you didn’t think were possible. It reminds me that I am always evolving and growing, and to never close myself off to possibility – and on the flip side, to follow my curiosity and see where it could lead. With that, I present my personal top 5 favorite bullet journal and handlettering blog posts of the past year. Self-care has been a huge focus for people this year (and should be going forward!) – and I was blown away by the response to it. I talk about ways I incorporate self-care into my bullet journal that might give you ideas as to how you can as well. How to bullet journal for work has been a huge question in the community, even inspiring a new section of the official bullet journal website in collaboration with the Bullet Journal Pros. Bullet journaling for educators, teachers, and higher education folks. Being that I work in education this was huge for me, especially realizing how many teachers there are in the bullet journal world! I believe in doing intentional work, so these were a few ideas as to how I incorporated that into the bullet journal system. This year I have searched for the balance between Being and Doing. The common misconception people carry about me is that I’m a planner because it makes me more productive – and that simply isn’t the case. In short, I use the bullet journal to make sure I’m not just doing work, but doing the right work. This mentality has freed me from the trap of busy and allowed me to craft a life with the priorities I’ve set. Career development is something I’ve been passionate about since college – the notion of finding a best match for your skills, gifts, desires, and goals is powerful to me and I’m so proud of this post. I talk about some collections and useful strategies to help you align your personal goals with the execution of career development – which happens before you even job search! Looking to learn handlettering and calligraphy? This was my first big compilation post for beginners including supply and beginner brush pen recommendations, tips, and a huge list of my favorite resources for learning calligraphy. We’re always on the search for affordable brush calligraphy pens – honestly, it doesn’t take fancy things to get started with brush calligraphy, so these were a few of my favorites for beginners to practice their lettering. In this roundup I collect a lot of my favorite lettering and handwriting worksheets – there are so many free calligraphy and handwriting practice sheets that I put them all in one place – AND this doesn’t even cover them all. It’s no secret that I love doing handlettering and calligraphy with Crayola markers – I talk about some of the popular Crayola supplies and how they’ve worked for me on my handlettering journey. As a beginner, how do you start learning calligraphy and lettering? There are so many things to know when you start, I break it down in this post to differentiate between brush calligraphy, dip pen calligraphy, and lettering and how you can get started learning.